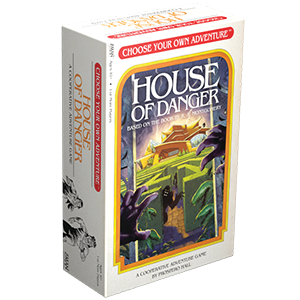 Will you unravel the mystery of the House of Danger? 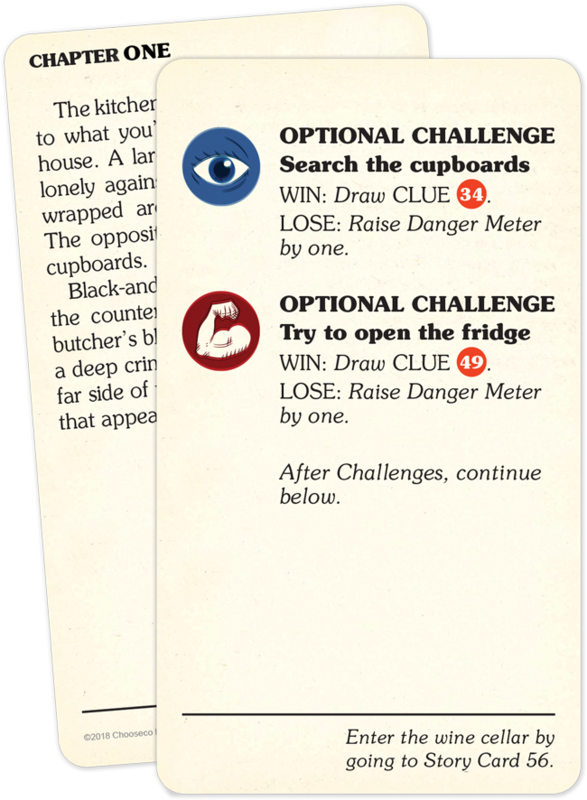 The classic Choose Your Own Adventure series comes to life in this new narrative adventure game. Will you survive the House of Danger? The game is available for purchase through our website, on shelves at Target, or your local friendly game store. Will you solve the mystery? 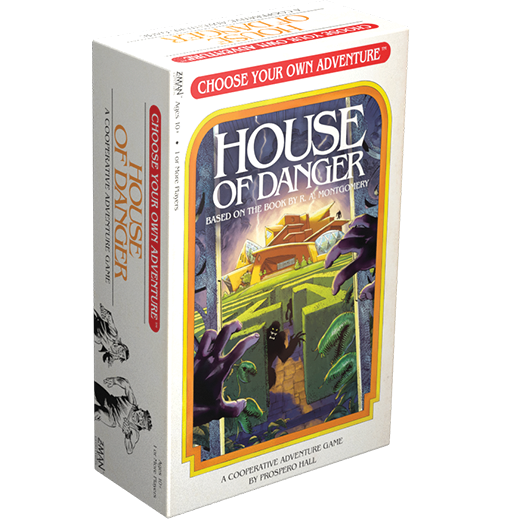 In Choose Your Own Adventure: House of Danger, you are a psychic detective, haunted by the mystery of the missing owner of the Marsden mansion. With only a water bottle, your trusty pocketknife, and confidence in your detective skills, you set out to solve the mystery. Do you follow the noise you just heard? Do you venture down the dark cavern? It’s up to you to decide! Investigate the many narrative branches in each of the five exciting chapters, discovering hours of play and thousands of options. Face deadly challenges to find clues or increase your psychic skills. As you explore the mysteries of the House of Danger, new clues will guide your investigation, illuminating new paths or equipping you with useful items. 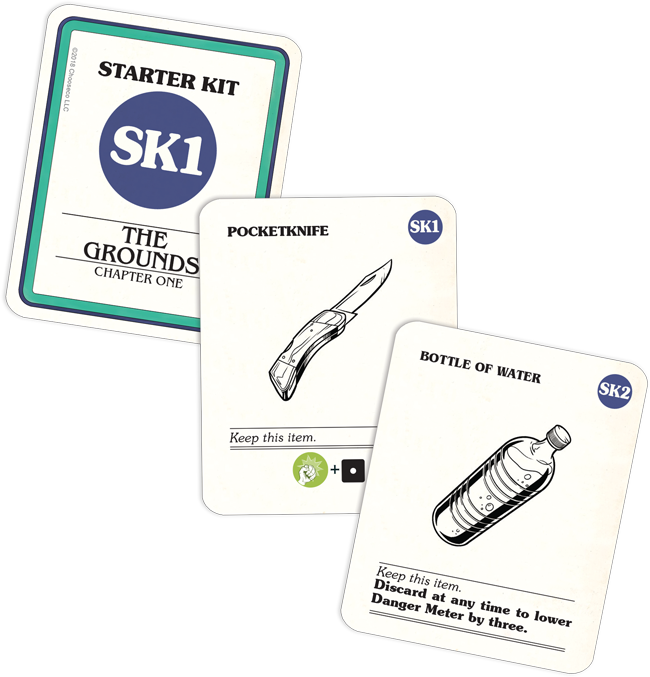 Some items can assist in appeasing unsavory characters you stumble upon or make challenges easier to overcome. Don’t forget your psychic premonitions! They may help keep you away from a dangerous path or guide you toward a promising lead. 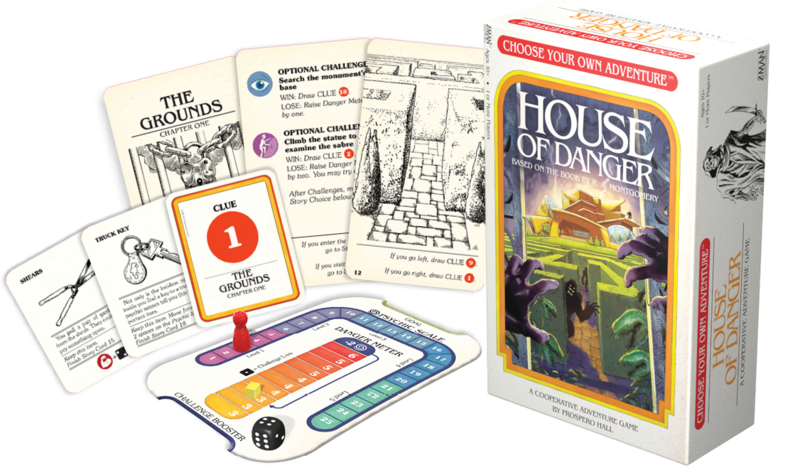 Acquire items, complete challenges, hone your psychic skills, and unravel the mystery of the House of Danger! Pre-order your copy of the game today.